The Jeep Wrangler is the Porsche 911 of SUVs. Rugged, timeless, and authentic, it never seems to change but always gets better. Like the German sports car, the Jeep evolves slowly, while consistently staying ahead of its competition. And like the 911, the 2019 Jeep Wrangler is now more popular than ever. Although Porsche has been making the 911 since the mid-1960s, the Wrangler’s roots date back to 1941. The first Jeeps were built for the military and were a critical component to the Allies' victory in WWII. The public began buying civilian Jeeps or CJs soon after the war, and seven generations later, it took the name Wrangler in 1987. The longer-wheelbase four-door Wrangler Unlimited joined the lineup in 2007, radically expanding the SUV’s appeal to include families and weekend off-road enthusiasts who appreciated its additional practicality and comfort. And last year, Jeep gave the rugged Wrangler an extensive makeover, adding more civility to the SUV while improving its legendary off-road capability. 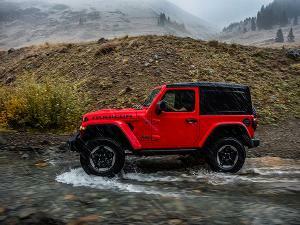 Sales of the Jeep Wrangler have exploded over the last 10 years. Jeep now consistently sells over 200,000 Wranglers a year, and the four-door Unlimited model makes up about 90 percent of that volume. 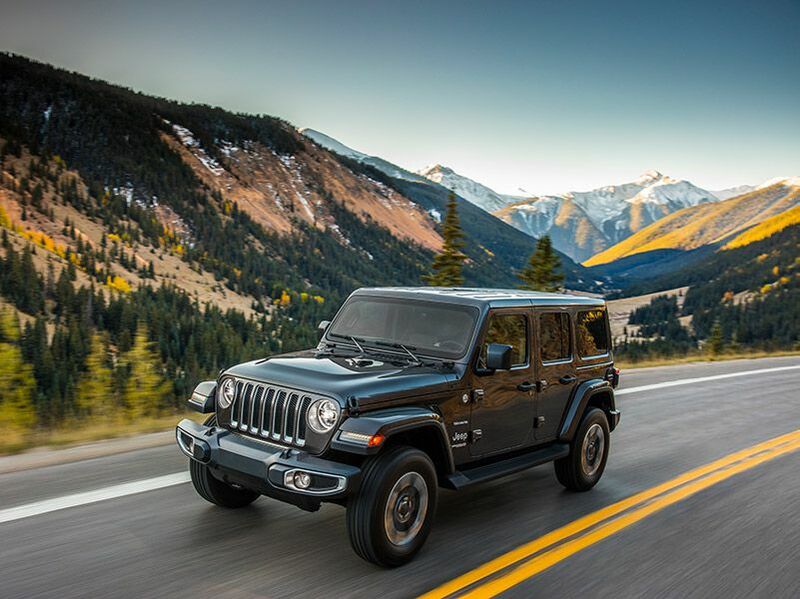 All 2019 Jeep Wranglers are built in Toledo, Ohio, and the Unlimited is offered in four trim levels: Sport, Sport S, Sahara, and Rubicon. 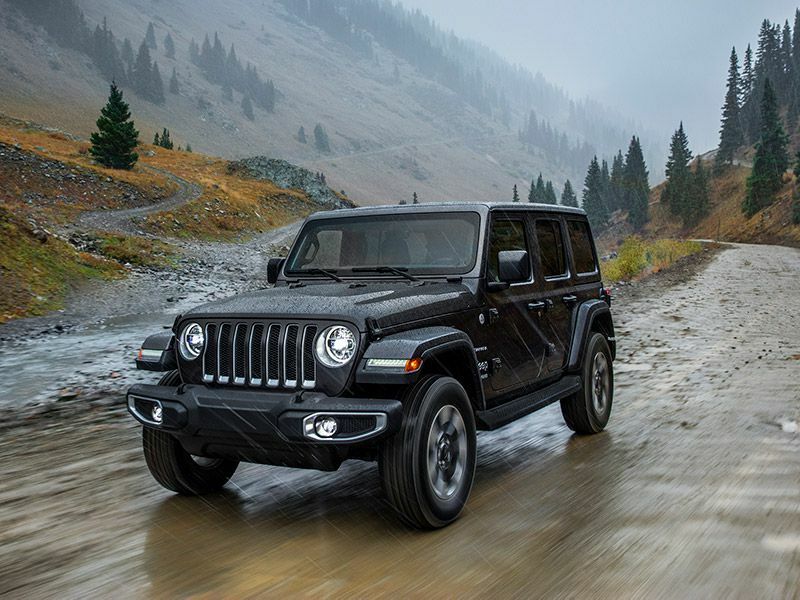 Of course, all Jeep Wranglers come equipped with four-wheel drive, while the Rubicon model features more extreme off-road hardware including locking front and rear differentials, a disconnecting front sway bar, and larger tires. Jeep also offers a choice of engines and transmissions. A strong 285-horsepower 3.6-liter V6 engine is standard, while a new, more fuel-efficient turbocharged 2.0-liter four-cylinder with 270 hp is also available. 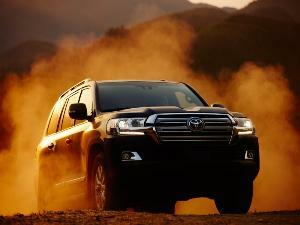 Both engines work with either a standard six-speed manual transmission or an optional eight-speed automatic. For 2019, Jeep Wrangler Unlimited prices start right around $33,000, including a $1,495 destination charge. Although air conditioning is standard on the base Sport model, power windows and door locks are not. For those luxuries, you have to step up to the Sport S for $36,000. A manual-folding soft top is also standard. 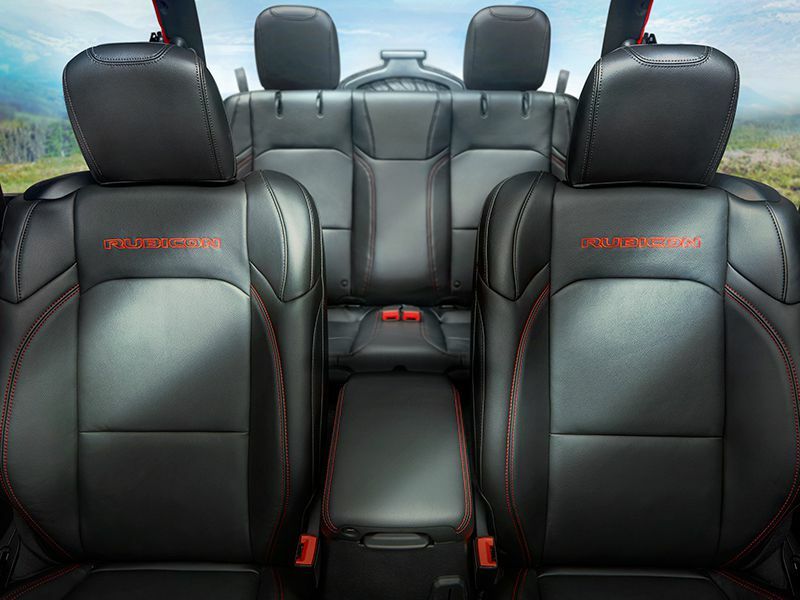 For those looking for improved weather protection and security, Jeep offers an optional removable hardtop. The base price of our test vehicle, a soft-topped Wrangler Unlimited Sahara, was about $40,000. But its price skyrocketed to over $50,000 with options, including the 2.0-liter engine ($1,000), the automatic transmission ($2,000), leather-trimmed seats ($1,495), and an upgraded infotainment system with navigation ($1,495). Recently, I drove a stone stock 2019 Jeep Wrangler Unlimited Rubicon the entire length of the Rubicon Trail, which is considered the toughest off-road trail in America. And it was easy. The Wrangler’s short wheelbase, awesome ground clearance, steep approach and departure angles, and a high break-over angle means the Jeep tackles obstacles other 4x4s and SUVs just can’t handle. 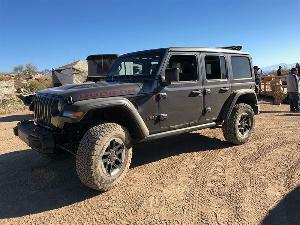 Our Wrangler Unlimited Sahara test vehicle was also quite capable off road, easily scrambling up, over, and through challenging trails at our local off-road park in Southern California. Thanks to the Jeep’s generous wheel travel, soft, well-damped suspension, and our test vehicle’s optional oversized off-road tires, the SUV was fun and easy to drive in the dirt. The Jeep’s new turbocharged 2.0-liter engine had plenty of bottom-end torque to get us through deep, soft sand, and the Wrangler climbed like a mountain goat with its two-speed transfer case in low range. 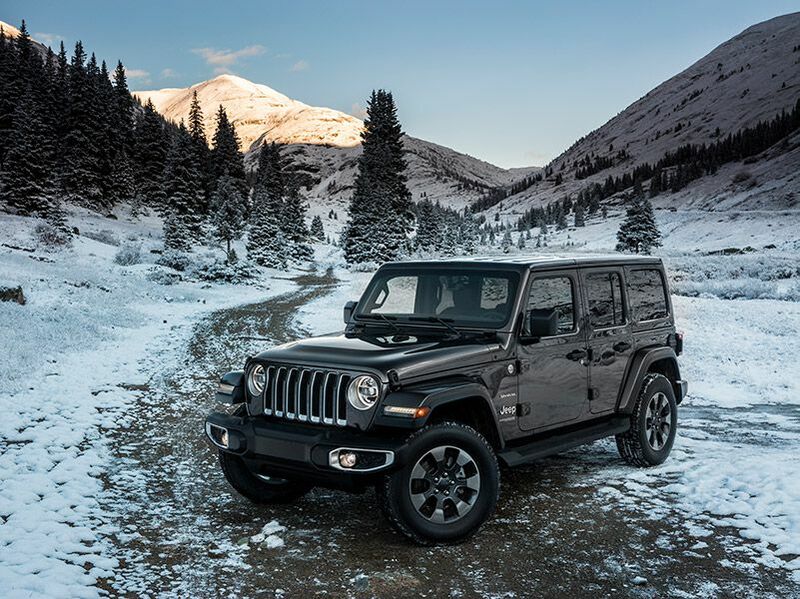 For all its off-road capability, the 2019 Jeep Wrangler Unlimited is also easy and comfortable to drive around town. And few other SUVs are this fun to drive. The 270-hp turbocharged engine is strong and well-matched to the Jeep’s excellent eight-speed automatic transmission. Its ride is pleasantly soft and surprisingly supple, and Jeep’s engineers have done an amazing job retuning the steering, which no longer feels disconnected from the road. It’s also quieter and more comfortable on the freeway than it used to be, but, the Jeep remains a boxy soft-top vehicle, and there’s considerable wind noise inside the Jeep over 60 mph. However, paying up for the optional hardtop fixes the majority of this problem. Fuel economy is lackluster compared to other SUVs this size. 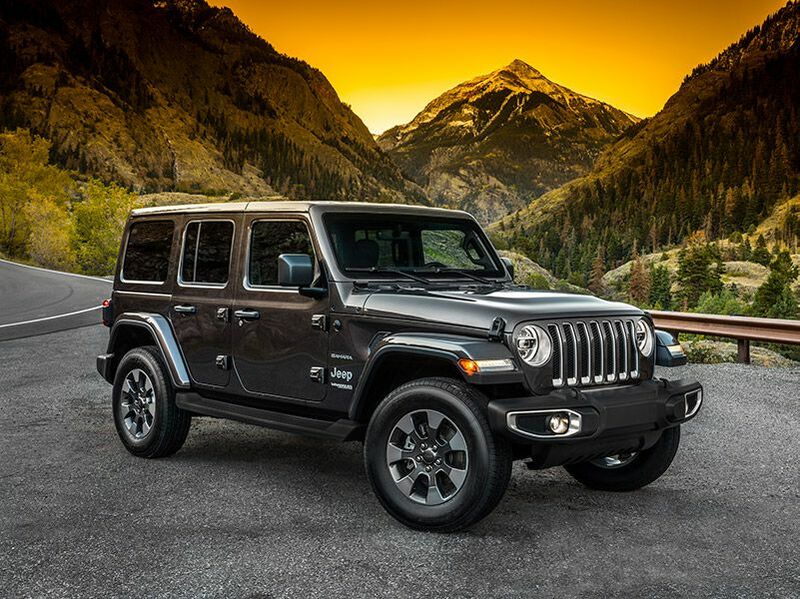 With the 2.0-liter engine and its smooth start/stop feature, which shuts off the engine at idle to save fuel, our Wrangler Unlimited was rated at 22 mpg in the city and 24 mpg on the highway. I averaged 20.7 mpg during a week with the Jeep, which included a 300-mile road trip. 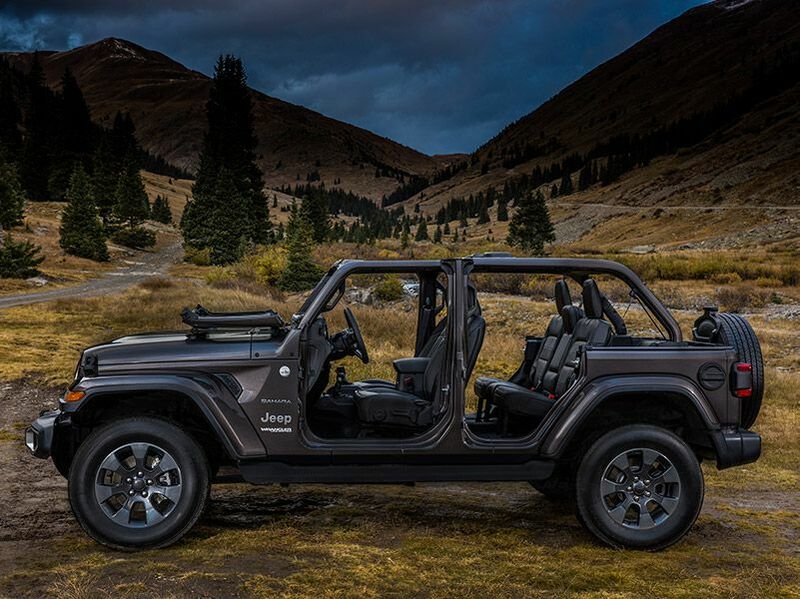 Not only is this the 2019 Jeep Wrangler Unlimited the only four-door convertible on the market, but it’s also the only vehicle you can buy with removable doors — and you haven’t enjoyed life until you cruised around in a wide open Wrangler on a sunny summer day. Folding the Jeep’s soft top is easier than it used to be, but it still takes about 10 minutes, and removing the doors, while easy enough, requires tools. If you’re really feeling adventurous, you can also fold the windshield forward for a real wind-in-the-face experience. Tip: Bring goggles. Jeep completely redesigned the exterior of the Jeep Wrangler Unlimited in 2018, adding a few subtle curves and muscular faux front fender vents, but the look remains classic Jeep. You can still see that original 1941 military Jeep in its shape, from the signature seven-slot grille to its pronounced wheel well flares that add attitude. The bigger the wheels and tires the better it looks, and our blood red Sahara turned heads on its 18-inch wheels and optional oversized all-terrain tires. All-new just last year, the Wrangler’s interior is much more modern than before. The windshield isn’t as upright and the dashboard doesn’t feel as old-school. Although the controls remain simple, with large well-placed knobs, and there are fewer hard plastics than there used to be. On the console are a couple of large cupholders, the shifter, and a lever to engage 4WD, while the power window switches remain on the dashboard below the radio. The new gauges are more visually interesting, and the seats are well shaped for long drives. I was also impressed by the output of the Jeep’s air conditioning and heater. Running either with the top down will make you more comfortable. 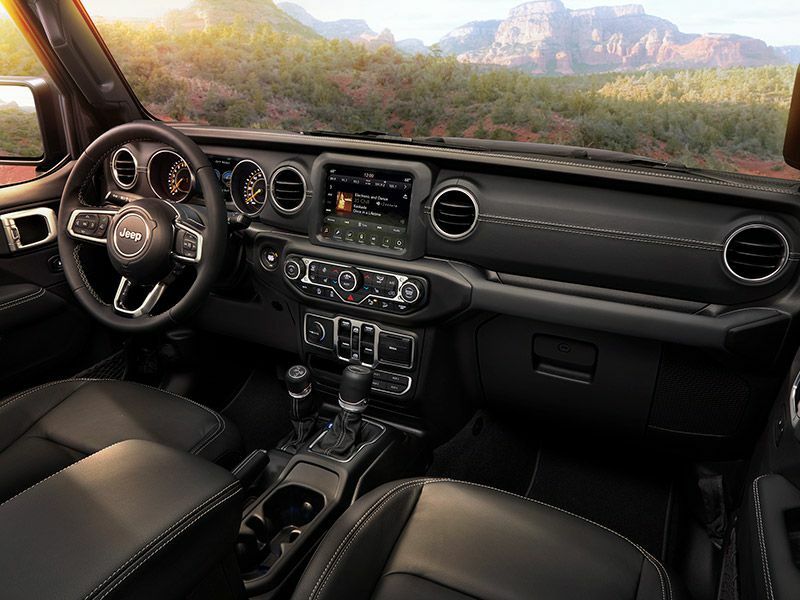 Jeep’s Uconnect infotainment system is also one of the best, with a large 8.4-inch touchscreen, intuitive menus, and quick responses. Our only interior gripe is the lack of a dead pedal — there’s no place to rest your left foot, which becomes a comfort issue on longer drives. Inside the 2019 Jeep Wrangler Unlimited, there’s seating for five, which is one more than you get in a two-door Wrangler. The backseat isn’t huge, but there’s room back for average-sized friends to stretch out. There’s also plenty of cargo space behind the Jeep’s backseat. The Wrangler Unlimited offers 31.7 cubic feet of cargo space, and it’s easily accessed by its unique swing-out back door, which carries the weight of its spare tire. The rear bench is split 60/40 and folds flat easily. With it out of the way, there’s an impressive 72.4 cubic feet of space. That’s nearly as much as you get in a Honda CR-V. Cabin storage is also plentiful. The glovebox is large, the two-tiered center console bin is deep and lockable for when you’ve got the top down, and there are nets on each door for small items. Today, the Jeep’s primary competition comes from Toyota’s 4Runner SUV and TRDPro Tacoma pickup as well as other off-road ready pickups like Ford’s full-size F-150 Raptor and the mid-size Chevrolet Colorado ZR2. They all cost significantly more than a Wrangler Unlimited Sport, but they’re also more refined and offer more standard equipment. And they’re not quite as capable off road. New competition will soon arrive from Ford, as the automaker introduces the 2019 Ranger pickup and the 2020 Bronco SUV. Much like the original Bronco, which ended production in 1977, it’s expected to be quite off-road capable, only this time it will have four doors. 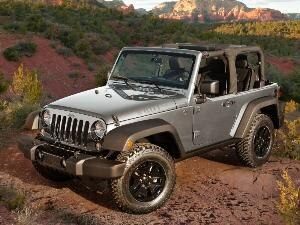 Meanwhile, Jeep will soon expand the Wrangler line to include a four-door pickup called the Gladiator. 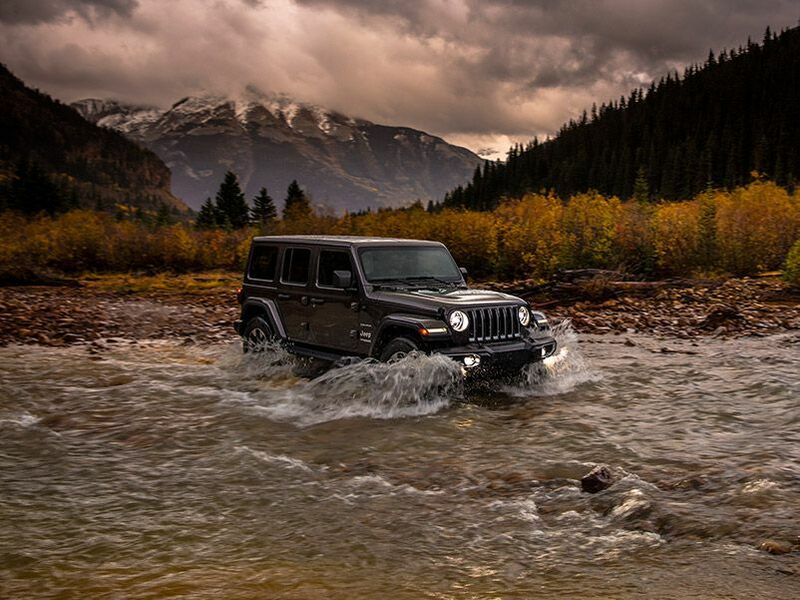 After all these years, the appeal of the Wrangler remains universal. Everyone seems to want one, from my teenage daughter’s friends to my 74-year-old mother. It’s just one of those vehicles that’s eternally cool. It’ll never go out of style. And with last year’s redo, Jeep has made the Wrangler Unlimited more comfortable, easier to drive, and easier to live with. 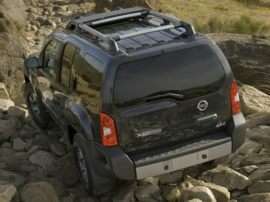 Plus it’s still an off-road superstar, capable of going places few other stock vehicles can. The Wrangler is also considered the most modified vehicle of all time, and the aftermarket offers everything to personalize your Wrangler Unlimited, from lift kits and wheels to winches, lights, and indestructible steel bumpers. 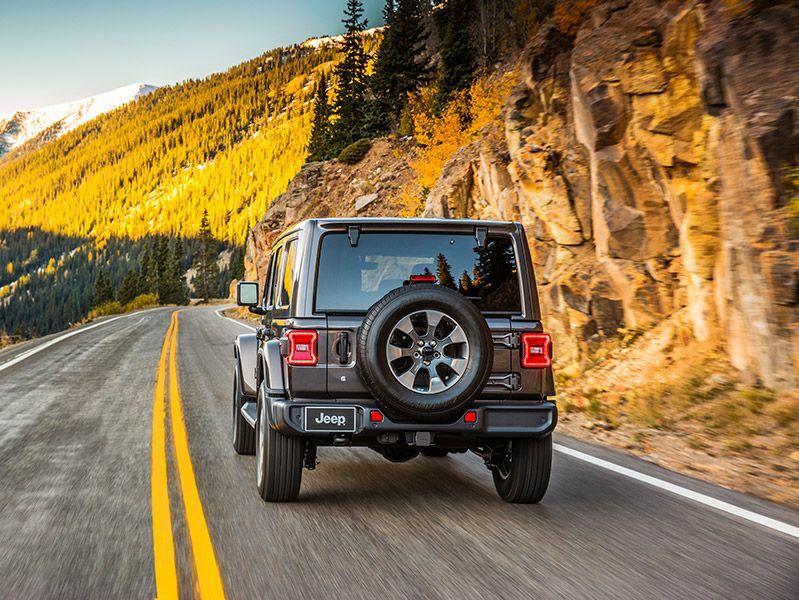 If you’re looking for an adventurous SUV, one that’s as much a lifestyle as it is transportation, the 2019 Jeep Wrangler Unlimited is a very desirable choice.